Ranveer Singh and Alia Bhatt come together again for their third film! 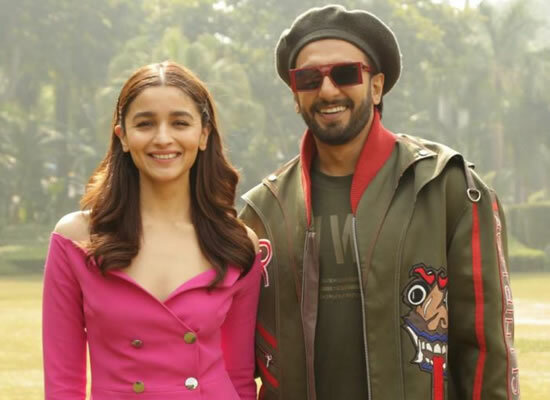 Bollywood stars Ranveer Singh and Alia Bhatt won hearts with their sizzling chemistry in their last film Gully Boy. Admirers of Ranveer and Alia are now thrilled and are looking forward for their forthcoming film Takht. As we know, Ranveer and Alia are amongst the stellar ensemble cast of the Karan Johar directorial. Apart from them, the film also stars Anil Kapoor, Janhvi Kapoor, Kareena Kapoor, Bhumi Pednekar and Vicky Kaushal in lead roles. As per reports, now Ranveer and Alia have been roped in together for their third project. Admirers of both can rejoice as the news reports suggest that they have already signed on the dotted lines and the same is a big-ticket movie under a famous banner, but there is no official confirmation on the same.